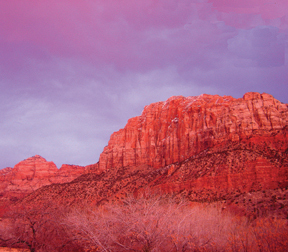 During the month of September, on one of our favorite trips out West, David captured this stunning sunset in Utah. It inspired our “Earth and Sky™” Synergy, as well as being created with the Autumn Equinox in mind. The Autumn Equinox falls around September 22nd in the Northern Hemisphere in which day and night are each about 12 hours long. Our Earth and Sky™ Synergy is an uplifting and refreshing scent with sweet, woody undertones, with a touch of citrus and a hint of spice. When emotions get scattered and daily life gets over-whelming, use oils that create a calming, protective atmosphere. Perfect for use in the diffuser, pocket diffuser, use in a carrier oil as an anointing oil or add to a carrier oil for a soothing, relaxing massage. Made with 100% Pure Essential Oils of Green Spikenard, Cedarwood-Atlas, Balsam Fir, Pink Grapefruit, Clary Sage, Black Spruce, Bergamot-Natural and Cinnamon.